On 6th August 1945, the city of Hiroshima became the first ever target of an atomic bomb (see my previous post). The city was completely destroyed and it was hard to imagine that the people of Hiroshima can ever emerge from the horrors of war. But, the vibrant modern city that stands today demonstrates an amazing resilience of the human spirit. The city has almost completely overcome its tragedy to become the thriving home to more than one and a half million people. The rebuilt Hiroshima is one of the most admired tourist destinations of the modern Japan. The peace memorial museum in Hiroshima is the most dominant landmark of the city. It highlights the sickening realities of nuclear weapons. Every year on 6th August, a ceremony is held in the Hiroshima Peace Memorial Park with the objective to console the victims of the atomic bombing and to facilitate world peace. Thousands of people including the representatives from all over the world, assemble to pray for the realization of a lasting world peace. The ceremony is a brief one and lasts only 45 minutes. The Peace Declaration is read out by the Mayor of the city of Hiroshima and sent to every country in the World. An arch-shaped cenotaph was built in 1952 where the register having the names of the victims has been kept. The characters meaning "Let all the souls here rest in peace, for we shall not repeat this evil" are carved on the front of the stone coffin in the cenotaph. One can see the cenotaph, the A-bomb dome and the peace memorial museum in alignment. There were many Koreans forcibly brought to work in the city of Hiroshima and other nearby locations. More than fifty-thousand Koreans were living in Hiroshima during the World War II. These were slave labors and treated as second-class citizens. As the war intensified, Japan escalated import of more Koreans. During the bombing, more than thirty-thousand Koreans lost their lives. Below is an image of the monument erected in memory of the Korean victims. The flame inside the 'lanterns of peace' is a reminder of those atom bomb victims who jumped into the river after the ground temperature reached up to an unimaginably scale. Most of them eventually died. Each lantern represents a soul of those who died. It's indeed an emotional event having its own spiritual significance. Watching these 'lanterns of peace', drifting away calmly in the water, is a reminder to what happened on 6th August 1945. It's a time to contemplate about all the wars that are happening around the world right now. During the peace memorial ceremony, one can see many A-bomb survivors who try to hand down their experiences to the younger generation, ranging from elementary school students to the high school students from all over Japan, who have never experienced war. Every year on 6th August, the Peace Bell is rung at 8:15 morning, the time when the atom bomb was dropped to Hiroshima, and sirens are sounded throughout the city. The former 'Hiroshima prefectural commercial exhibition hall' which withstood the bombing is popularly known as 'A-bomb dome'. The building has been kept as a reminder of the horrors of war. On 6th August, peace rally and other events are organized in the city throughout the day to mark the anniversary of A-bombing. Below is an image of such a rally at the peace park. Hiroshima, which was once 'an atomic desert', has turned into now a vibrant city thanks to the amazing resilience of the human spirit. However, the pains and horrors of the atomic bombing are still in the eyes of many who have witnessed 'a vision of the hell' on and after 6th August 1945. Today, after 64-years of the tragedy, the world is still engaged in several conflicts and wars. There is no guarantee that Hiroshima and Nagasaki will not happen again. The day continues to serve as a reminder for people around the globe to contemplate about world peace. At the end, I would like to thank my friend Dr. Nabin Basnet for providing the wonderful images from the Hiroshima peace memorial ceremony. I am also thankful to my colleague from Malaysia, Md. 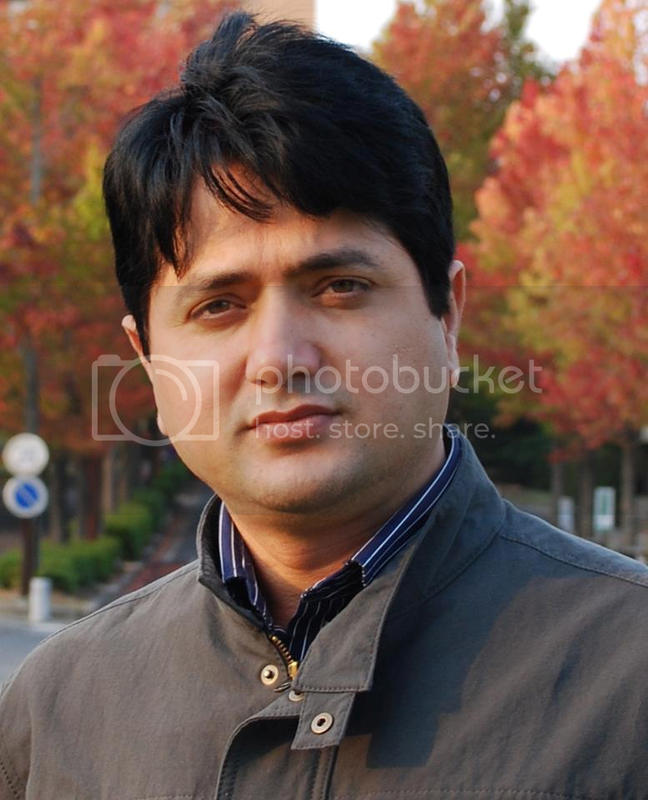 Hafiz Habibuddin who is pursuing doctoral course at Hiroshima University, for providing a beautiful view of the 'A-bomb dome' (the last image of this post) for this blog. Today was the day of Nagasaki bombing - another supposedly bad day in history of mankind. I have gone to this event every year for last 3 days. I personally don't want to go to the morning events because the whole ceremony attended by diplomats is more of a diplomatic ceremony than paying respect to the dead. The whole afternoon, 1000s of people from different places in Japan and around the world come to the Peace Park to pay their respect for real. This is more important than the ceremony in the morning. The peace museum is full of visitors and U may see many weeping looking at the pictures put there. What I do not like is that though the whole function and the place is supposed to be an icon of peace, it also creates some tension in many ways. Inviting Obama as the president of US to Hiroshima to recognize Hiroshima bombing as a horrible event is one of them. If he does come, is it an apology for something that US thought was right thing to do at that time? If he does not accept the invitation, does it mean that he does not respect those who lost lives that day? I may want Obama to come apologise but another 10 people might not want that to happen. Isn't putting Hiroshima in this fight a crime itself and disrespect to the dead itself? Putting Hiroshima as an icon of peace is looking at the story from one side and there are half of the world who will not agree. For peace and humanity, should there not be a neutral ground for agreement? The Hiroshima-Nagasaki memorial is not held just in Hiroshima and Nagasaki but also in different places around the world. This blog has visitors from around the world and it would be interesting to know how this day is remembered at different places. We hope to see how Hiroshima looks now in your blog. War in itself is not bad but why the war was fought is more important. So, I believe end of war is not the answer for ever lasting peace. The bombing destroyed the city and killed many but I respect the spirit of those people who rebuilt the city. The story that started after the bombing is what should be remembered - those people who ran the street car within hours of the bombing gave hope to the grieving hopeless survivors telling that the city was not dead yet. That is story that should be told. Every single person contributed to make the city what it is now. Birth of Hiroshima Carp (the baseball team of Hiroshima) and building the old stadium are other stories of unity in rebuilding the city to put it where other cities of Japan already was. Thanks Deependra for sharing wonderful pictures of Hiroshima and the peace memorial ceremony. We should refrain from politicizing the issue of Hiroshima- Nagasaki bombings. Barack Obama has been invited to the peace ceremony in Hiroshima probably after hearing Obama make his speech on nuclear weapons in Prague last April. America is the only country who ever used the A-bomb. we can't justify the act for it was a very inhuman in nature, but many argue that US made the right decision given the state of the war and huge human sufferings. There was no sign of surrendering by Japan before the bombings. However, after sixty-fours, I think a statement from the President of America that 'we never again wish to witness the horrors of nuclear destruction' seems to be the need of the hour. For this, the bottom line is, we should not look this all through a political spectacles. Very sad history. You have a very interesting blog. Thanks for visiting mine and for the nice compliment. Thanks for visiting my blog and for your lovely comment.You are welcome in my other blogs too. I liked your blog very much. Its very nice and interesting as well as informative.Good post. Thanks for providing wonderful pictures and insight to Hiroshima bombing and the function held there. The comment by Nabin is interesting n informative though opinionated a bit. I liked his view that for peace and humanity, there should be a neutral ground for agreement. Equally good is the opinion of anonymous for his bottom-line comment- we should not look this all through political spectacles. Nice post Deepndrajee! Lets pray and hope that this World will not have to endure another 'Hiroshima and Nagasaki'. Very interesting and informative post. Those snaps you have uploaded has made it more realistic and can give your readers the feeling you want to share. thanx for sharing such a nice inrfomative post dependra jee .we hope and pray never repeat that day for japanese people in their entire life again. Nabin ji, I respect your personal views regarding the official ceremony that is held in the morning of the A-bomb day. yet in my opinion, it's important that the representatives from around the world gather in Hiroshima to pay respect to the victims. At least, it has a symbolic meaning that we should move toward a war-free world and a lot of things should be done in order to achieve it. I agree with the comment by 'anonymous' regarding the issue of invitation to the US president Obama that we should refrain from politicizing the issue of Hiroshima- Nagasaki bombings. Surely, end of the war is not the key to ever lasting peace and as you have rightly pointed out, the spirit of those people who rebuilt the city should be respected. I appreciate every one who stopped by to read this post. Particularly, I would like to thank all who liked the post and commented. Lets pray and hope that this World will not have to face another 'Hiroshima and Nagasaki'.